This book aims at explaining Israel's noncompliance with United Nations (UN) resolutions and demands since the establishment of Israel as a state. 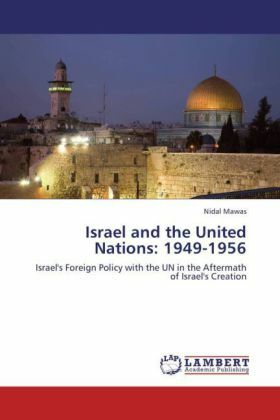 The book assesses the nature of the relations between Israel and the UN in the period between 1949 and 1956 towards the UN resolutions, commissions and observers by surveying the military events in the Arab-Israeli conflict during that period, assessing Zionist's policies and the Western support. The book also highlights the implications of Israel's attitude towards the UN. Such behavior that Israel set in the UN allowed Israel to carry on its violations of UN resolutions along with the support of the US all through the Israel's history up until now. With the reemergence of the issue of declaring a Palestinian state, explaining Israel's actions and policies during the first years of its existence would help fill a gap in the way of approaching such a controversial aspect and founding period of the Arab-Israeli conflict.